If you’re relocating to America, for business or personal reasons, there are a number of things you may want to make yourself aware of before taking the big leap. With this guide on how to move to America, we hope to make your move to USA as easy as possible. 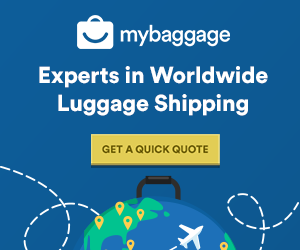 Additionally, you can read on to find out more information about My Baggage – our convenient, affordable and reliable door to door luggage shipping service that could help you to save time and money on transporting your worldly possessions to the USA. The United States of America is a vast country, a jigsaw of 50 diverse states with a population reaching over 323 million. Whether you’re relocating with family for personal reasons, or whether you’re relocating for business; whatever your reason, the USA is a one-of-a-kind destination and an undeniably popular one at that, for so many reasons. One of the major draws of the United States is the country’s cultural history, which can be found in some of the most popular cities across the country. New York City, Las Vegas and Los Angeles to name but a few; though the United States isn’t just cities and concrete jungles. There is also a wealth of spectacular natural beauty to be found within the US, with a total of 59 national parks covering everything from desert terrain, to lush forests, to rugged mountain ranges and beautiful coastlines. From the Grand Canyon to the Everglades, there are so many natural wonders to explore across the United States. You are never more than 60 miles from the ocean in Florida. And in Michigan, you are never more than 6 miles from a lake. Texas is so big that El Paso is closer to California than it is to Dallas. Mother’s Day was first observed in West Virginia. Meanwhile, Father’s Day originated in Washington. The Statue of Liberty is associated with NYC, but is physically located in New Jersey. The tallest mountain in the world, Mauna Kea, is located in the United States. Americans eat about 100 acres of pizza each day. Women got the right to vote in the United States in 1920. The grizzly bear is the state animal of California, but none have been seen since 1922. Alaska has a longer coastline than all of the other 49 US states put together. The original capital of the United States was Philadelphia. Harvard was the first university in the United States, founded in 1636. The first zoo in America was opened in Philadelphia in 1874. 258 Statue of Liberties could lie within the Mall of America. The state animal of Connecticut is the sperm whale. Statistically, the deadliest job in America is president. The American flag’s official colours are “Old Glory Red”, “White” and “Old Glory Blue”. Why Relocate To The USA? No matter your background, relocating to the USA can be a life-changing experience. As it would appear, the American Dream is still very much alive, with US being one of the most popular expat destinations in the world, beaten only by Australia. And it’s easy to see why. Life in the United States offers incredible opportunities; from work, to travel, to education. Students from all over the world are often enticed by America’s world-renowned Ivy League institutions to study for a single semester or the duration of their degree course. 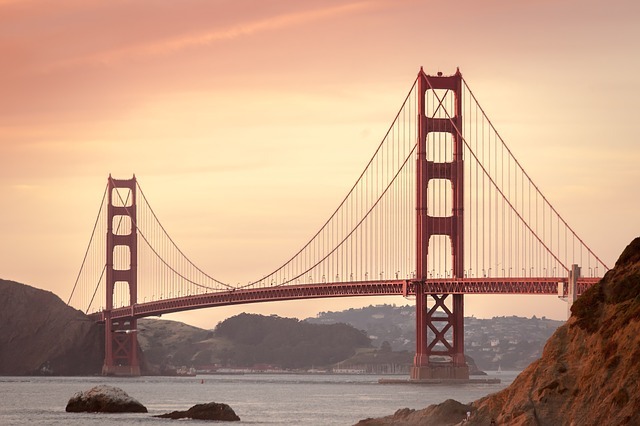 Not only is the United States perfect for those looking for adventure, a fresh new start and new and exciting opportunities; but it offers an unparalleled mix of cultures and lifestyles. The country is built upon a unique blend of languages, traditions and ways of thinking. 1. The 'can do' attitude and positivity of the American people. 2. The country's world-renowned education system. 3. The abundance of travel opportunities. 4. The universal use of the English language. 5. The country is a melting pot of diverse cultures. 6. Americans on average have twice as much living space per dwelling. 7. Numerous career opportunities available to expats. 8. Convenience - Americans have access to pretty much everything they need! 9. Americans have access to all kinds of cuisine. 10. America's vast size means you'll find a climate to suit your needs. There’s no doubt that living in America as an expat can be a life-changing experience. Although the prospect of moving to the USA can be exciting, it can also be undeniably daunting. The Land of the Free certainly beckons, however, if you’re dreaming of making that journey across the pond, here are a few important things you should research first. Family – Perhaps one of the most commonly gained and most stable types of visas to live and work permanently in the US is the Green Card. A family member who is a US citizen can petition on your behalf for you to receive a visa based on your relationship. This is often a much easier process if you are the spouse or child of said family member. Exchange Visitor – The J-1 visa is commonly acquired by individuals who have been approved to participate in work and study-based exchange visitor programs. This type of visa allows visitors to experience life and work in the US for a temporary period of time. Sponsored Employment – The H-1B visa allows US employers to employ foreign workers in specialty in-demand occupations. This is undoubtedly one of the best ways to gain permanent entry into the US to work. It does mean agreeing to a job before moving. Temporary Working Visa – The H-2B visa is available for foreign workers in non-agricultural fields to work in the US, given that there is an insufficient number of domestic labourers to fill the position. Usually very specific criteria and on a temporary basis. Generally speaking, with educational costs aside, the cost of living in the United States is comparable to what it is in the UK. Many expats living in the United States do not notice a significant financial loss or gain. The dollar is the official currency of the USA ($ or USD). Unlike the UK, the United States does not have a National Health Service. Becoming a US citizen does mean that you will have to pay for the appropriate cover for your healthcare (unless your healthcare is paid for by your employer). Although not every US citizen is insured, it does mean paying for your treatment yourself and bills can be staggering. Researching job opportunities in your new country is undoubtedly a priority when it comes to relocating and, thankfully, finding a job overseas isn’t as far-fetched as it used to be. In the United States of America, hard work is valued. Generally speaking, the US is particularly interested in foreign individuals with medical, IT or marketing backgrounds. There are plenty of places online that can aid your international job search, or alternatively, traditional options such as local ads, newspapers, and word of mouth. One thing that you may want to be aware of when it comes to job hunting in the US is that paid vacation is not a guaranteed right across most workplaces. The United States of America is one of the only nations in the developed world where this is the case. The standard of education across the USA is world-renowned, and for good reason. Each and every year, students from all over the world are enticed by the world-class Ivy League Institutions, such as Harvard and Yale, and their state of the art teaching facilities. Primary education in the United States is separated into pre-school, kindergarten, elementary school, and middle school. Generally, kids will go to separate elementary, middle schools and high schools all within their local area. These are usually public schools, though there are many private schools and international schools across cities. Whether you’re relocating to the United States on a temporary or permanent basis, renting a home might just be the perfect option for you. Lease agreements in the US are generally signed on a six-month or one-year basis, so you can choose that which suits your needs. Alternatively, if you’d like to opt for something more permanent, if you are working legally in the US you are able to buy a property and apply for financing. Estate agents in the US will guide you through the whole process of buying your very first property in the US. The United States of America is larger than life, but you’ll be far from feeling like a fish out of water as the country’s culture has been very much shaped by a unique blend of the many different lifestyles, traditions, and ways of thinking that make up 50 diverse states. Start planning as far in advance as possible. Make checklists to stay on top of what you need to do. Get started on getting your immigration sorted as early as possible. Set up a US bank account as early as possible. Get your healthcare in the USA sorted early to avoid any problems. Keep a record and stay on top of your finances – save, save, save! Sell/donate goods that you don’t really need. If you’re moving for a job – don’t be afraid to ask your employer for help. Compare different quotes and choose your movers wisely. Know you know how to move to America it’s time to look at the actual moving process. The prospect of moving yourself (and perhaps your family, too) and all of your worldly belongings to a new country is undeniably daunting. Thankfully, there are a number of options to help ensure your relocation runs as smoothly as possible. When it comes to planning your relocation, you should make yourself aware of the different types of options available; after all, some options will suit your personal needs better than others. International removal services offer the transportation of your possessions from one country to another, often by air or by sea freight, aiding you to uplift your life to a brand new destination. Although costs can quickly mount up, depending on the scale of your move, there’s no doubt that traditional international removals services are the perfect option if you need to ship large, bulky items including beds, sofas or even your car. Container shipping is typically the most affordable international removals option. Although it can be an exceptionally slow voyage – you could be waiting for up to two months for your belongings to arrive with you in the USA – you will make significant savings when you opt for sea freight over air freight. It’s important to be aware that some international removals companies will deliver your belongings straight to your door, and some may require you to set up transportation to and from the ports both departing and on arrival. Air freight is a much faster option of transporting your items, though as it is typically priced by weight and volume, it is the more costly option of the two. Again, some international removals companies will offer a fully door to door delivery service, whereas some may require you to arrange the transportation of your items to and from the airports yourself. My Baggage offers a convenient and reliable international removals service to over 200 countries worldwide. With door to door shipping, online tracking and unrivalled customer support; find out how our services compare to traditional international removal companies. My Baggage offers a brand new approach to moving your personal belongings overseas. With our fast, convenient, reliable and low-cost door to door shipping services, My Baggage can offer a more feasible method of shipping your belongings in suitcases and boxes to your new home abroad. Relocating is an undeniably expensive process, and for many people, it could be a much more cost-effective option to sell or donate large, bulky items and ship only their most treasured and essential belongings with My Baggage. My Baggage’s convenient door to door collection and delivery service means you don’t have to worry about leaving your belongings at a designated drop-off point, nor do you have to worry about collecting them from a far away location at the other side. My Baggage collects from your doorstep and delivers straight to your destination. We know that when it comes to your luggage and personal belongings, it’s natural to feel apprehensive about handing everything over to a removals driver. However, at My Baggage, we strive to provide an international moving service that you know you can trust. You can use My Baggage to ship your personal effects in suitcases, boxes or even a mixture of both. You can also send typically large or oversized items, such as sports equipment, and musical instruments so long as they are appropriately packaged. To give you that extra peace of mind, My Baggage will keep you updated from the moment you place your booking until the moment your items arrive safely with you. You can opt-in for text and email notifications to keep you fully up-to-date on where your items are and when they are due to arrive. We also provide full online tracking for every single shipment, which you can access at any time by logging into your My Baggage account. If you happen to have any questions or concerns along the way, we pride ourselves on our unrivalled customer support. Thanks to many years of experience in logistics, our support team are experts when it comes to shipping personal belongings all over the world. If you require any assistance with your shipment, you can contact our customer support team via phone, email and live chat and they will always be happy to help in any way that they can. At My Baggage, we understand that, for many people relocating abroad, speed is a top priority when it comes to transporting all of your worldly belongings. The last thing you want is to have to wait weeks for everything you own to arrive with you at your new home. In comparison to traditional international movers, which in some cases could take months for your belongings to arrive – with My Baggage, you don’t have to worry about waiting. We offer super fast overseas removals, with a 2-5 day transit time worldwide. My Baggage isn’t just affordable – our door to door shipping service offers value for money. We offer a huge 30kg/66lb weight allowance per item for as little as £98 per item to the USA. AND you are able to send as many items as you like on our services. If you happen to be relocating to the United States to further your education, My Baggage can help you with your big move. Whether you’re relocating to the USA for a semester, an academic year or for the duration of your degree course; My Baggage can help you to transport all of your personal belongings straight to your new home on campus safely. My Baggage prices are student-budget friendly. And we’re not just affordable – our student shipping services offer value for money. You can send as many items as you like with us, and we offer a huge 30kg/66lbs weight allowance per box or suitcase. My Baggage’s online booking system and door to door collection and delivery makes our service easy and convenient for busy students. And with My Baggage, you don’t need to worry about waiting weeks (or even months) for your important belongings to arrive. We offer fast transit times; with Express services available to and from all colleges in the USA. The My Baggage team is made up of former students and recent graduates, so we understand how stressful the prospect of moving to college can be – not to mention relocating to a new country to do so! We make it our priority to make your experience as easy as possible. Our convenient student shipping services to the USA allows you to relax and enjoy what should be one of the most exciting times of your life. Want to know what other students think about My Baggage? You can read through our customer reviews. When shipping into the United States, all goods must be cleared through customs. As such, you are legally required to complete and send a customs declaration with your shipment to the USA. If your shipment does not have a customs declaration attached, it will not make it past your local country border, and you may even have to pay return charges to get it back. When you book with My Baggage, we will automatically provide you with the appropriate customs declaration for you to complete, print, sign and attach. Generally, My Baggage shipments clear customs in a timely manner, free from duties and taxes, as most countries offer a generous duty-free allowance for personal effects. However, as customs processes and allowances differ all around the world, and because My Baggage has no direct association with customs authority; we do advise doing your own personal research into US customs regulations before booking your shipment. It is important to make yourself aware of any potential customs duties and taxes in the US. My Baggage specialises in shipping personal effects all across the world. However, for security and customs reasons, there are certain items which are considered prohibited. We also recommend that you do your own personal research into what may be prohibited from entry into your destination country before booking your shipment, as import allowances differ around the world. Certain items may be specifically restricted from entry into the US by customs. Some examples of this include ink and other poisonous materials. As well as this, there are also a number of items that can be carried on the service, however, they may not be covered under our compensation cover and so would be sent at your own risk. If you decide to send any non-compensation items with My Baggage, please ensure they are packaged appropriately, with internal packaging for fragile items. When shipping your belongings to the United States with My Baggage, we recommend using either suitcases or strong cardboard boxes. Or, of course, you can use a mixture of both! 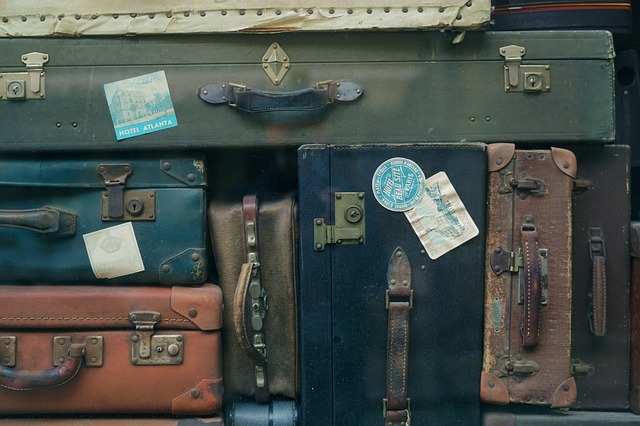 We advise against using fragile or expensive suitcases, as they are not covered by our compensation cover. We also recommend that you tape over any handles, etc to protect them. With regards to boxes, it’s always best to invest in a new, sturdy, double-walled (or even triple-walled) cardboard box as they are most durable and suitable for transit. Shipping your belongings to the USA with My Baggage couldn’t be easier. Our easy to use online booking system is available 24/7 and takes just a few short moments to complete. Simply start by obtaining a quote straight from our website. Once you’ve booked, we’ll send you some shipping labels to print and attach to your items. After that, you can sit back and relax. We’ll take care of everything else for you. It’s that easy! My Baggage offers convenient and affordable shipping services for absolutely everyone; whether you’re a business user, a holidaymaker, an expat or, of course, relocating. No matter your reason, absolutely anyone can take advantage of our competitive prices and excellent services. In fact, many savvy business users regularly avail of our low cost and convenient shipping services in order to relocate their employees all over the world.